Home Who is Lifehouse Church? Lifehouse church started in 2002 from the Assemblies of God churches (AOG) Australia and by the Australian Christian Churches International. This group of churches in Australia is now called Australian Christians Churches (ACC). There are now over 1,000 churches in our movement in Australia. All our Lifehouse pastors are accredited with ACC. We are a regular Protestant church, adhering to the Nicene Creed, as well as the ACC statement of faith. This statement of faith is the same as the Assemblies of God USA. 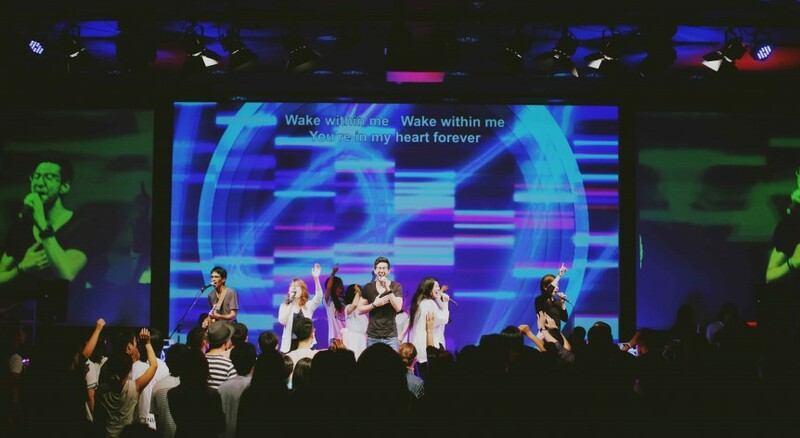 We are associated with Hillsong Church Network, and have a close relationship with Hillsong Churches. We are also in association with Associated of Related Churches, USA (ARC). We are in good relationship with hundreds of significant Protestant churches in Japan, Hong Kong, Indonesia, New Zealand, USA, Britain etc. Lifehouse Church has had a close relationship with New Hope Tokyo Church . Pastor Rod and Pastor Talo Sataraka have been close friends for 13 years and share a love and vision for Japan! All our finances are checked monthly with official auditors. We are also audited by our Australian CPI accountants yearly. We are currently overseeing a new Japanese Bible translation under the auspices of the Bible League, International, Dallas USA. This is not to replace the current Japanese Bibles such as the ShinKaiYaku Version or the Japanese Living Bible. The ALIVE version is a new easy-to-read Japanese Version especially for new Christians and those seeking to read the Bible for the first time. This project is under the scrutiny of Dr Yancy Smith and his team of Academic experts in Greek New Testament and Hebrew Old Testemant. We are happy to be producing the Joyce Meyer Minitries TV show “Enjoying Everyday Life” in Japanese, as well being the official translators of her books. Good News TV on CGNTV also airs our preaching every week. Pastor Rod Plummer has been an ordained pastor with ACC for over 30 years, pastoring in both Australia and Japan. He previously pastored New Hope Church, Toowoomba. He celebrates his 30th wedding anniversary in December this year (2015), and is happily married to Pastor Viv Plummer. Lifehouse Church have a deep love for the people of Japan, and are training many Japanese to be pastors. Lifehouse Church is delighted to partner with effective groups in missions. We partner with Pastor Marlo and Sherill Philips in Tejas Asia New Delhi in financially supporting hundreds of children from poorer areas. Lifehouse church also supports Pastor Edgar and Edna Bantigue and Christ Faith Fellowship, Cebu, Philippines in crisis relief work. Lifehouse church recenlty partnered with EveryNation Church and Grace Bible Church Yokohama in helping the victims of the Nepal earthquake. Lifehouse church also helped 300 young victims of the Tohoku tsunami of 2011 escape the disaster zone, and relocated them in a loving home for a few weeks. Tohoku Relief Homestay was supported and partnered by All Nippon Airways, American Airlines, Qantas Airlines, and New Zealand Airlines. Great to be a part of this movement! Excited for the future of Japan. Lifehouse Tokyo and the lifehouse movement is incredible! So many young people giving their lives to Jesus. Peoples lives are being changed, people are encountering their savior, being baptized and being healed. Lifehouse truly is an amazing church with incredible fruit! I came to Lifehouse church for the first time in 2007. I came out of a traditional church background (organ music, etc. ), but I decided to stay at Lifehouse because of the great Bible-based teaching and because of the excellent Christians in the church. It’s the most joy-filled church I’ve ever been to, and the people there really love reading the Bible. Taking part in this church’s movement has been such a great adventure. Love its discipleship values and its vision to reach and to win souls for Jesus. We need more of this kind of church to win the young generation of Asia. Church where they all can identify themselves as young and free generation in Jesus. Being part of this movement is the greatest blessing that i ever had. So thankful that i got saved in this amazing house of God. My blessed life is started here. I came to Lifehouse my first week in Japan, and have been every week since! It’s been more than 8 years and I’m still loving it.